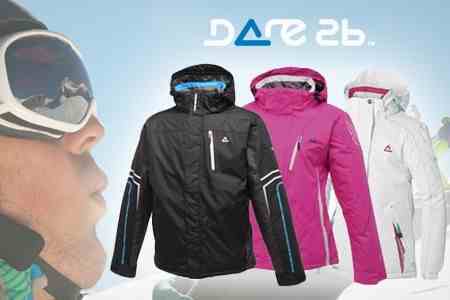 Dare 2B is expertly designed outerwear made with the highest specifications for skiing and snowboarding. Dare 2B is the ultimate choice for extreme sports and winter sports fans and here we look at the benefits of choosing this brand for your next ski trip. If you’ve hit the slopes before, you’ll understand how important it is to have clothing that performs under any weather condition. From the must-have high-tech Dare2B ski jacket and specialist snow pants to accessories such as ski gloves and hydropacks, the technologies designed for the Dare 2B ski range are second to none. From core stretch fabric and quick drying layers to anti-bacterial properties and reflective features for improved visibility, there are so many benefits to choosing Dare 2B ski clothing. Engineered for high impact and high intensity sports in extreme weather conditions, this ski wear will help to improve your performance whilst keeping you warm and comfortable. Ilus Core Stretch – this fabric is extremely versatile and comfortable. Designed to stretch for greater freedom of movement when you’re on the slopes, it can help you achieve the perfect maneuver in the snow. The Core Stretch fabric is also quick drying to keep you comfortable no matter what the weather. Q-WIC fabric – this is made to keep you dry and comfortable all day no matter how much you sweat when you’re in action. Being warm and dry when you’re active in cold weather isn’t easy but Q-WIC fabric has been designed to wick away moisture and dry quickly if you do get wet. You will also benefit from how lightweight this material is so you can improve speed and agility. 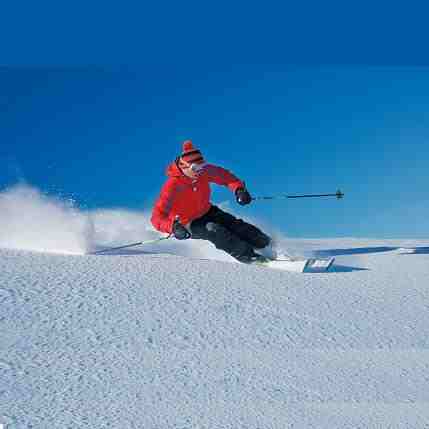 WULA Fleece – warmth is everything when you’re taking part in extreme snow sports. The climates can be harsh with cold winds, below zero temperatures and moving snow and ice that could make you feel like the elements are against you. WULA fleece by Dare 2B is engineered not just for warmth but also has that cosy comfort factor too. It’s quick drying and is lightweight to wear. Ared Waterproof Fabric – having waterproof fabric is important if you’re not blessed with quiet and calm skies on your next snowboarding venture. The special Ared fabric is designed to suit beginners to experts and is guaranteed to keep you dry whilst remaining breathable. Not only that but you can also benefit from windproof layers to fight off the elements. BODY Anti-bacterial – when things get sweaty, you can rely on BODY fabrics by Dare 2B to keep you dry, comfortable and completely free from any bacteria. The fabric wicks away any moisture build up and dries quickly, allowing you to ski or snowboard comfortably even when things get a little heated. The anti-bacterial elements will help to control any nasty odours which may develop so you can continue feeling fresh even after hours of workout. This entry was posted in Skiing, Snowboarding, Winter Sports and tagged Dare 2B, Jackets, Skiing, Snowboarding. Bookmark the permalink.